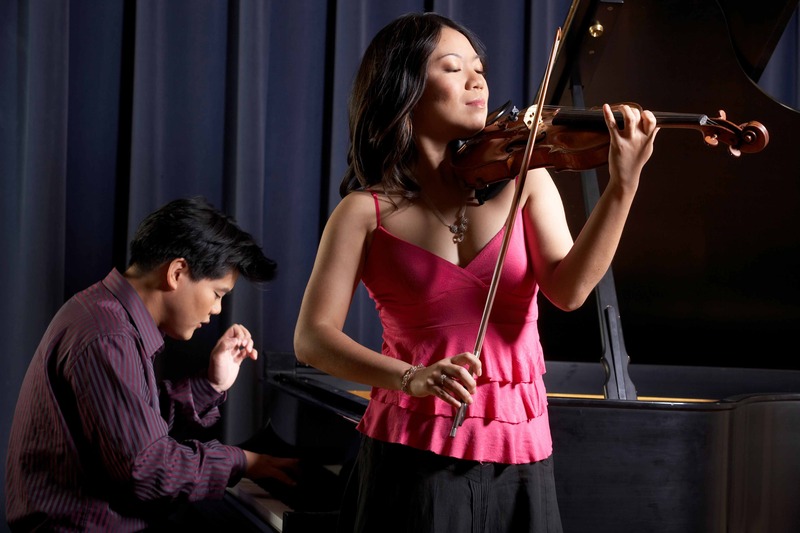 ...gradually... was composed in the spring of 2010 for the brilliant violin and piano duo, Duo Diorama. It is a piece of contrasts, in which the range of interactions--from agreement to conflict--gradually becomes clear as the piece moves on. These interactions may range from tender (as at the beginning) to fierce (near to the end), from declamation to lyricism, from independence to unity, from chromatic to fifth-based harmonies, from passages in which all the twelve pitches occur to sections in which some notes are absent, so that a tone (especially F#) may function as a local tonal center. This play of similarity and differences affects the way in which the two instruments project the piece’s ever-changing moods and progressions; one may dominate the other, or both may play more equally, either together or in opposition. Some puns are hidden in the title: “gra” (from Carter’s use of the Polish word for “to play” (the title of his solo clarinet piece)), or “grad” (the Latin root for step or to go (the piece is in sections that gradually change in tempo and intensity)) , and “dual” (the duo) and “ally” (the two allies in the duet).